Before the revised Legislation Law was approved by the National People’s Congress (NPC) on 15 March 2015, the principle of "taxation by legislation" was spelled out in Article 8(8) of the Legislation Law (2000), but only in a vague way. According to that provision, “tax issues” shall be provided for by the National People’s Congress (NPC) under the law. The reality, however, has turned out to have substantially deviated from the (vague) letter of the law due to the extensive delegation of tax legislative powers. Since the early 1980s, the administrative bodies, typically represented by the Ministry of Finance (MoF) and the State Administration of Taxation (SAT), have enjoyed a near monopoly status in drafting and implementing tax legislation (via, in effect, administrative rules). Among 18 types of taxes in effect, only three of them are provided for under the law. Extensive tax administrative rules - with questionable legal status – constitute the predominant body of the tax legal regime. When taxation without legislation becomes the norm, frequent and non-transparent changes of tax rules without sufficient checks are inevitable. This puts taxpayers in a vulnerable position as they typically lack effective remedies to challenge the legality of such rules. An indicative story, in this respect, is the recent rise in fuel-consumption tax. As the world oil price plummeted in 2014, the MoF and the SAT raised the fuel-consumption tax rate three times between November 2014 and January 2015. In spite of the justification given by the governmental agencies (e.g., to curb air pollution and carbon emissions), these tax increases have met widespread skepticism due to their arbitrariness and the weak link to doing good for the environment. This “law vacuum” has, however, encountered less and less tolerance in recent years. In March 2013, during the 12th Meeting of the NPC, a motion submitted by a delegate, Ms. Zhao Fuling, drew much attention, nation-wide. This motion asked for the power of tax legislation, currently retained by the State Council, to be returned to the NPC and its Standing Committee (SCNPC). 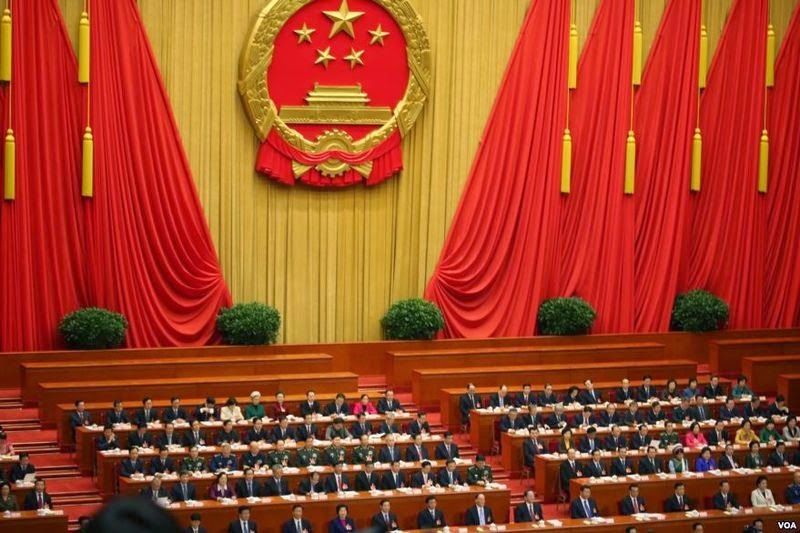 In November 2013, the principle of “taxation by legislation” appeared, for the first time, in the report of the Third Plenum of the 18th Congress of the China’s Communist Party (CCP). The will of the people and the mission of the top leadership, on its face, appeared to converge. The revision of the Legislation Law is a critical test-point as to how this “agreed principle” is going to be put into practice. In the revised Legislation Law approved by the NPC on 15 March 2015, it is provided under Article 8(6) that “institution of tax, tax rate, tax administration and other fundamental tax affairs” shall be governed by the law only. The explicit listing of the three core elements in taxation, compared with the vague wording in the old Law (i.e., tax issues), adds more clarity as to those areas where any entities - other than the legislative body - shall not trespass. In terms of taxation by legislation, this represents a significant change. An episode, during the passage of this Law, is worthy of mention. In a draft submitted to the NPC on March 8th for deliberation, the element of “tax rate” was removed from Article 8(6). This omission, unconvincingly explained by the SCNPC, was considered not acceptable, especially by tax professionals. At the last minute, several prominent tax scholars, together with some NPC delegates, worked together and succeeded in making their voices heard by the legislative body. In the final draft submitted for the reading of the NPC on March 15th, the wording “tax rate” reappeared in Article 8(6). With this new provision, the powers of governmental agencies in making tax policies have been largely constrained - without the authorisation of the legislative body, the administrative agencies cannot change tax rates at random or in a non-transparent way. Under Article 10 of the Revised Tax Legislation, where legislative powers are delegated to administrative bodies, stringent requirements now need to be complied with, also. First of all, each relevant delegation related to the power to tax legislation, shall specify the purpose, scale, items and the term of delegation as well as the principles the delegated entity shall comply with. Furthermore, the term of delegation, in general, shall not exceed five years. Does this provision automatically imply the winding-up of the delegation made by the SCNPC to the State Council in the tax field back in the 1980s? This remains to be seen. But at least, we can be assured that such a sweeping and indefinite delegation in the area of tax legislation won’t happen in the future. One would not want to claim too much for these recent revisions. It is fair to say, however, that they signal a notable positive step towards the increased application of Rule of Law principles to the making of new tax laws in China.